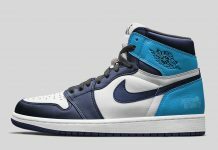 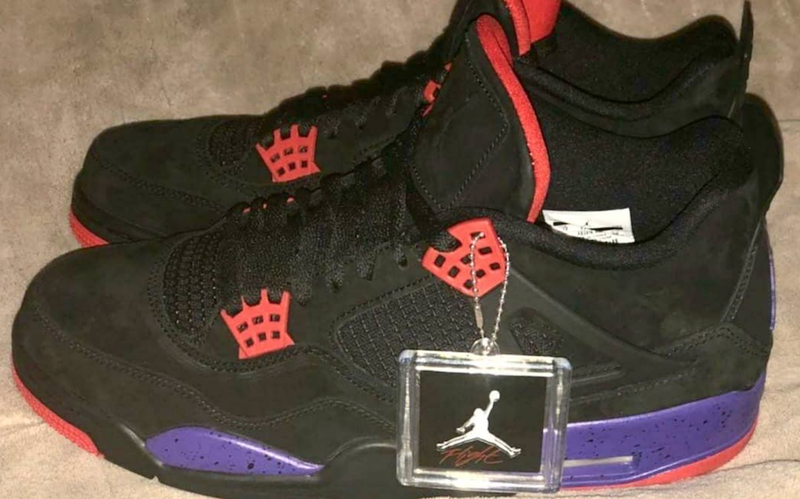 Jordan Brand will be releasing a Raptors version of the Air Jordan 4 this month, featuring the colors of the Toronto team. 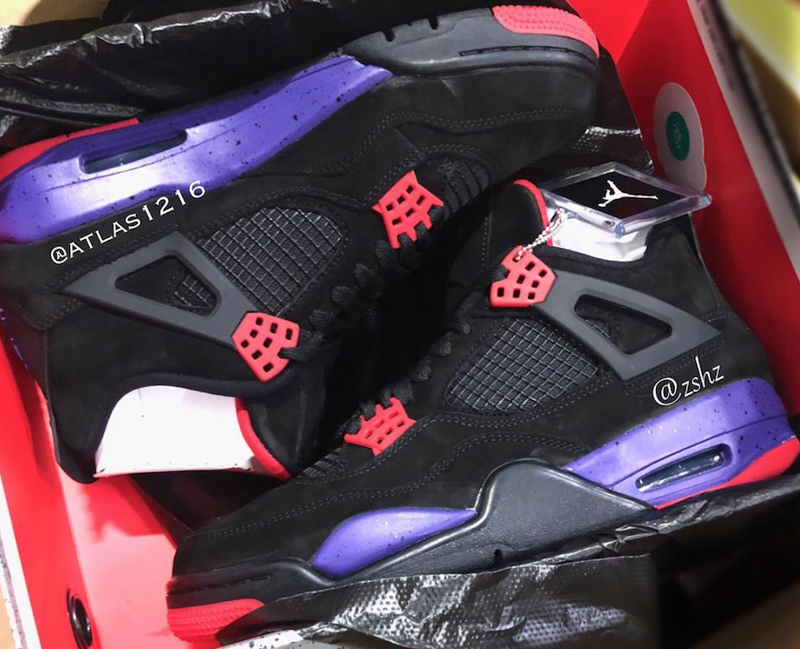 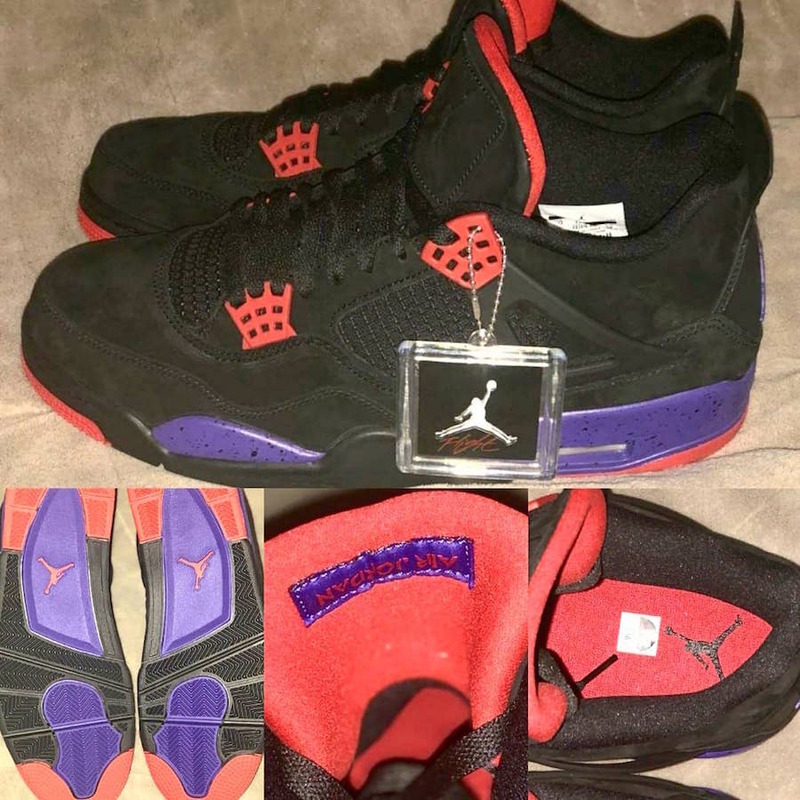 The Air Jordan 4 will feature a black based nubuck upper alongside Red and Court Purple accents. 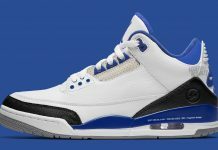 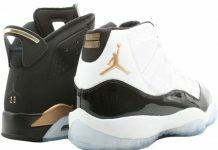 Further details include black speckles that midsoles for a final finish. 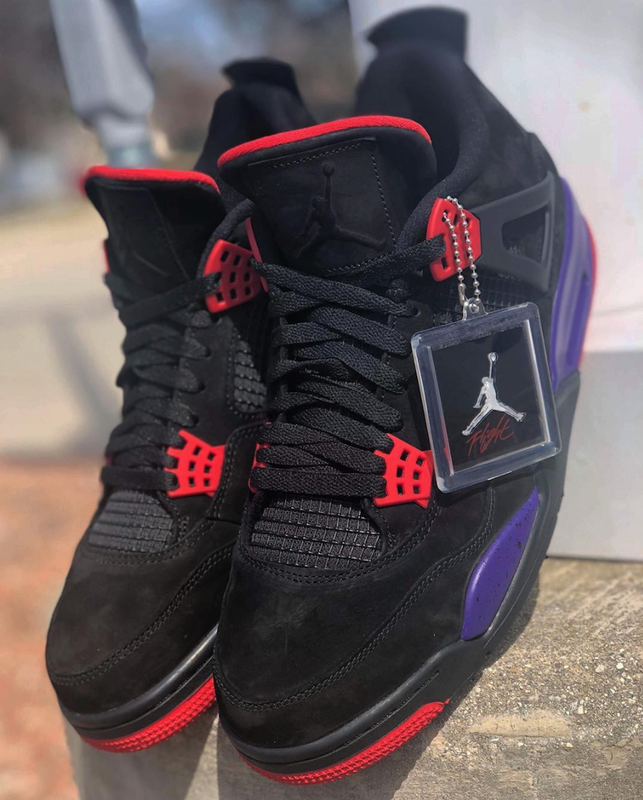 The Air Jordan 4 NRG “Raptors” is set to drop April 2018 at select Jordan Brand retailers for $190 USD.